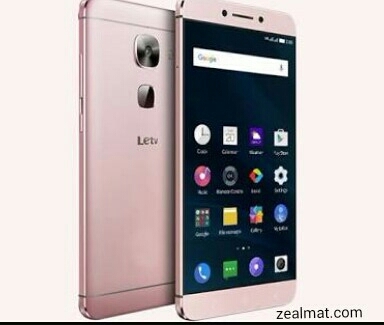 LeEco's latest mobile launch is the Le Pro 3.The smartphone was launched in September 2016. The phone comes with a 5.50-inch touchscreen display with a resolution of 1080 pixels by 1920 pixels at a PPI of 403 pixels per inch. The LeEco Le Pro 3 officially went on sale today in China. It was a flash sale, and more than 3.5 million people had registered for it. It should then come as no surprise that the entire first batch of phones LeEco had prepared managed to become sold out in just 15 seconds. And we're not talking about a few thousand handsets here. LeEco moved no less than 500,000 units in that time frame. Clearly the starting price of CNY 1,799 ($269 or €240 at the current exchange rates) helped make the Le Pro 3 this popular, especially since it's paired with some high-end specs. The device has a 5.5-inch 1080p touchscreen, the Snapdragon 821 chipset, 4 or 6GB of RAM, 32 / 64 / 128GB of storage, a 16 MP main camera, an 8 MP selfie shooter, and a 4,070 mAh battery. It runs Android 6.0 Marshmallow.